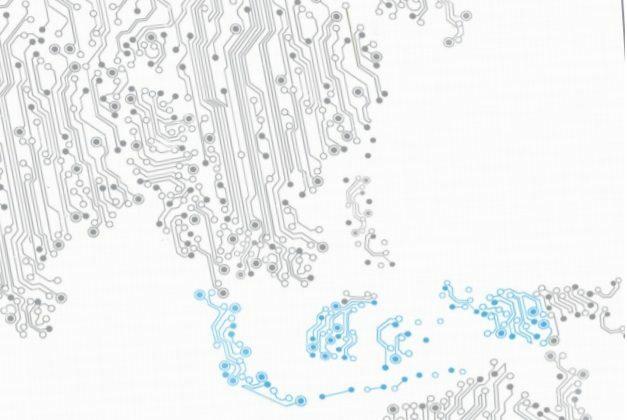 Electronics manufacturers are seeking ways “to diversify risk by investing or relocating to other countries”, warned Gritsada Suptuaychone, secretary of the Electrical, Electronics and Allied Industries club under the Federation of Thai Industries in November 2011. His statement did not come as a surprise. In the previous month, flooding had forced the closure of seven industrial estates in Ayutthaya, Nonthaburi and Pathum Tani, causing billions of dollars of damage, disrupting supply chains and putting hundreds of thousands of people temporarily out of work. 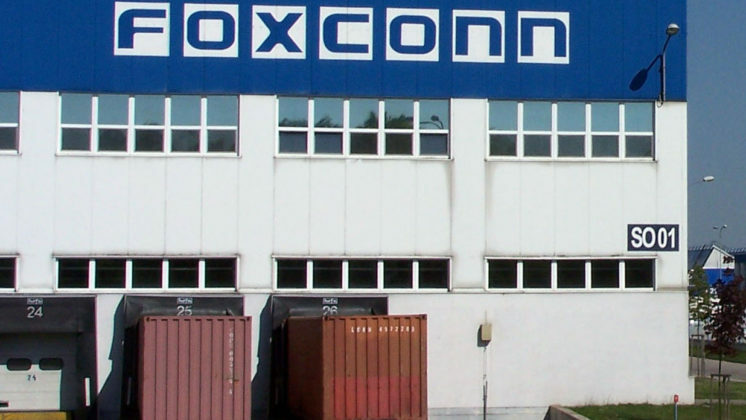 In December 2011, the first companies announced their permanent closure and plans to move to Cambodia, Vietnam or Indonesia. In February 2012, some 25 representatives of labour groups and trade unions gathered in Nonthaburi to discuss how to address employment issues in the electronics industry and to set up a Thai branch of the GoodElectronics Network. Every one of them carried examples of companies that use the flooding as a pretext to get rid of employees, especially members of trade unions; some of them recently got fired themselves. This edition of On the Spot is dedicated to the current labour issues in Thailand, in an industry where monthly salaries of 200 euro for a 60-hours work week are not exceptional. It also highlights a variety of corporate responses to demands of trade unions. Over half of the approximately 500,000 workers in the electronics industry in Thailand are agency workers. Just like migrant workers they are not organised or unionised. Most of them did not get the pay compensation of 75% of their wages that regular workers receive during suspension of production. “Migrants and agency workers were washed away with the floods,” says Suthila Luenkham, programme officer at Arom Phong Pangan Foundation (APPF), an established labour resource organisation, based in Bangkok. As most of them left the area because of the flooding, it was hard to reach them for any support action. Another vulnerable group, according to Luenkham, are workers of 45 years and older. They are often the first ones to be laid off, while their chances to find new employment are effectively slimmer. Short-term contract workers or flexible workers have become quite popular among employers, as they reduce the cost of production. Because migrant workers in Thailand – if at all registered – have only temporary permits, they are by definition contract workers. Thailand has about two million workers from neighbouring countries like Burma, Laos and Cambodia. Treated as aliens under Thai law, they are excluded from social and health services, and are denied the right to associate in trade unions. At the same time, many of them are paid less and make longer working days than their Thai colleagues. They are prone to extortion from mafia and officials, and are prohibited to travel to visit relatives or do business. hampering the production of hard disk drives, cameras and microchips. about 30 billion US dollar in 2010.
the same time FDI in Thailand’s neighbouring countries has increased. industries, he warned, are likely to move to other countries. Systems has moved its electronic components plant to Cambodia. appear to be an attractive alternative. Thai workers face a myriad of obstacles in fulfilling their rights to association and collective bargaining, such as hostile employers, weak legal protection and uncooperative government officials. Many employers want no interference in managing the production, in compliance with laws, or in decisions on benefits and wages. If employers learn of attempts to unionise, the following reaction is quite common. The management calls in the workers, one by one, to explain that unionising is unwelcome and may incite to moving to another country. If this does not discourage the workers, they face relocation, suspension, or even dismissal. Other workers are warned not to get involved in organising activities. Surprisingly, also many government officers – whether from the Labour Protection and Welfare Department, the Ministry of Labour, or the police – attempt to dissuade workers from organising, sometimes with similar threats to those of employers. This attitude goes against duties set out in the Thai Labour Relations Act, and against Conventions of the International Labour Organisation (ILO). The Thai Labour Relations Act of 1975 is antiquated and overtly restrictive. Thailand has not ratified the ILO Conventions no. 87 and no. 98, despite repeated demands from the labour movements. A troublesome loophole in the law is the excessive requirement of documents to register a union. Even more troublesome is that the law does not protect union founders against unfair dismissal. 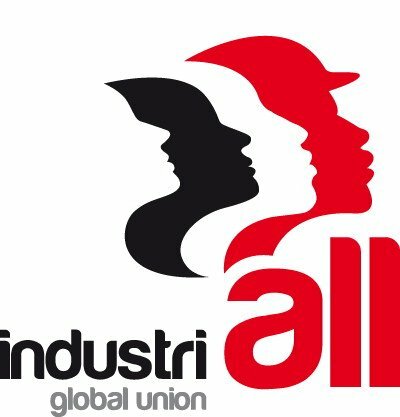 Workers only qualify for this protection after the registration of the union is completed, a general assembly is called for, the union leadership is elected, and the membership of the employee committee is submitted. Even established unions may face legally sanctioned harassment, such as constant demands for recounting membership (the union of Hoya Glass Disk had to answer three such demands in one single month, January 2012). All complaints, even undisputed violations, are legally required to run through the entire system. This can take up to five years, as the procedure allows employers to appeal the decisions of the Labour Relations Committee, first to the labour courts, then to the appeal court, and finally to the Supreme Court. Fearing dismissals, harassment and frivolous lawsuits, many workers feel anxious about unionising and the resulting damage to their employment. The deeply ingrained impression is that organising will lead to chaos and reduced orders in the factory. As workers depend on overtime to make ends meet, they are vulnerable to pressure of employers who will simply reduce overtime for punishment. As the Thai society and Thai education are not much focused on promoting human rights, workers have little knowledge about their fundamental rights and lack confidence in unionisation. Two years ago the section of the law regarding payment of wages during suspension of factory production was revised. At first sight, the law now prescribes a severance pay of 75% of wages during suspension. However, there is a clause exempting suspension pay ‘in cases of natural disaster’. Some electronics companies happily referred to this clause when their premises were flooded, leaving workers empty-handed. Western Digital seemed to be a favourable exception, continuing to pay full wages during suspension. 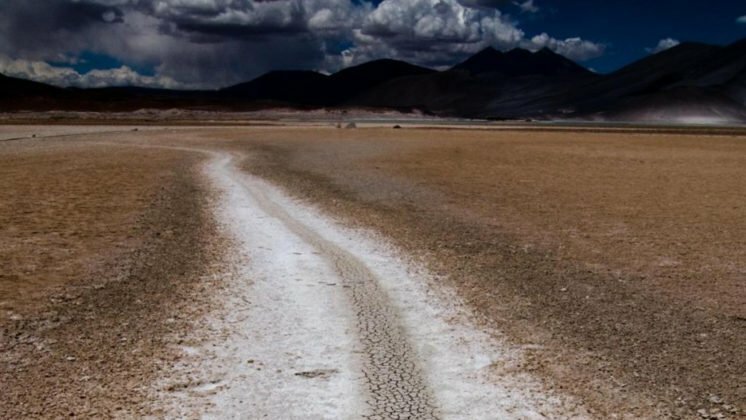 However, the company counted 25% of the three-month suspension leave as annual leave, making the net result of this creative bookkeeping a wage of 75%. Most workers did not recognise the trick, and were pleased with their ‘full’ pay. The government assisted flood-affected companies with funds for payment of wages during suspension of production: 2,000 Thai baht per worker per month, to a maximum of three months. But the government lacked capacity to monitor the system, which was prone to abuse. One of the companies that benefitted from the government compensation was ISCM Technology (Thailand) Co. Ltd., a manufacturer of water resistant parts for computers. Nevertheless, its 600 workers were informed by text message that they were suspended without pay. Outraged and despairing workers turned to the Arom Phong Pangan Foundation (APPF), which organised, together with the Thai Labour Solidarity Committee (TLSC), a major rally of hundreds of workers at the Ministry of Labour. That worked out well: ISCM agreed to pay all workers, including migrant workers, their entitled 75% of wages. Sony’s manufacturing plant for digital cameras in Ayutthaya was so badly flooded that it stopped production on October 22, 2011. The approximately 5,000 workers were temporarily sent home with 70 % pay of their wages. Gradually, Sony started calling in small groups of workers to shift to its plant in Chonburi province, some 150 kilometres to the southwest. In January 2012, Sony announced that all workers had to move to the factory in Chonburi, a clear sign that the plant in Ayutthaya would not reopen. Workers who were unable to move, were entitled to severance pay. The others could resume their job in Chonburi under their existing contract. By February, about 2,500 of them were either living in the plant’s dormitories in Chonburi, or commuting from Ayutthaya, leaving by bus at 4AM. In response to the sudden increase in workforce, the Chonburi plant immediately ceased the use of student workers. At short notice, some 600 ‘trainees’ were dismissed. This confirms again, that the use of student workers is not about proper training, but about cheap labour. 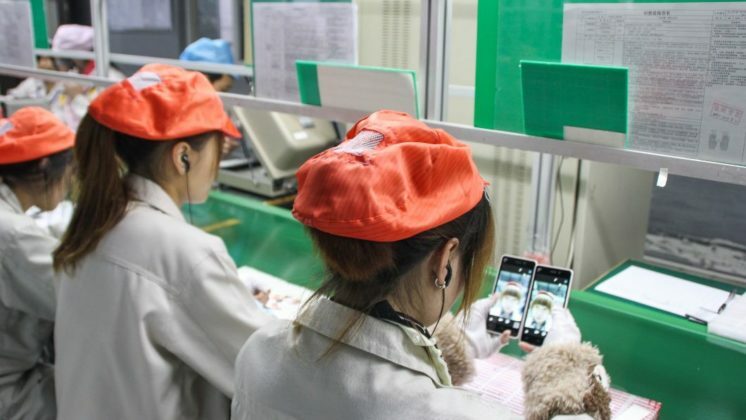 Sony’s Chonburi plant now employs two kinds of workers: the ‘original’ 900, and the ‘new’ 2,500, who receive an extra allowance. The majority of electronic workers in Thailand are women, in most factories some 90 %. They are young, between 18 and 31 years old. In other words, they are in the reproductive phase of their lives. Research of the Thai Labour Campaign in five electronics companies in Thailand in 2010 revealed that pregnant women tend to work even harder to meet the expenses of raising their future child. Some do not inform their leader, because they want to keep working in shifts, on holidays and in overtime, to secure an income of about 200 euro. Informing their leaders would mean making less hours and getting lower pay, but it also gives them the right to get off the production line, and work in a special room for pregnant women. 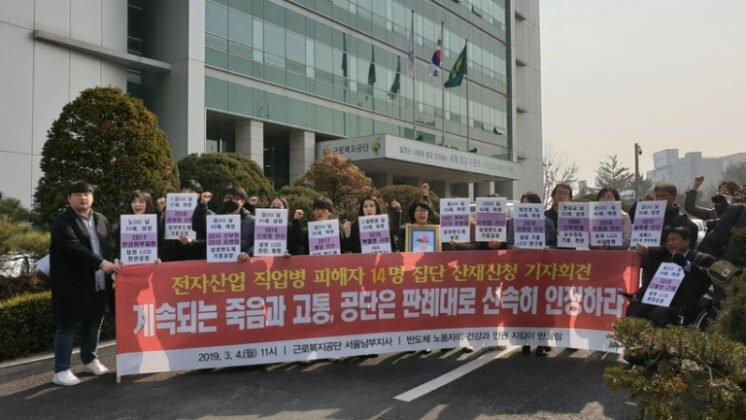 In the factory of Donaldson, producing filters for hard disk drives, female workers did stand up for better working conditions in November 2009. They demanded a suitable workplace and uniform, and protested against the dismissal of some pregnant workers. The protesters were fired. After negotiating with their employer, they had to apologize and apply for the job again. All of them were reinstated. They gained no improvement of labour conditions; only an extra bonus of 3,000 Thai baht (about 60 euro). After the legitimate 60 days of pregnancy and maternity leave, mothers usually see their offspring only a few days a month, as the children remain with their grandparents in the home village. When Ricoh announced, in November 2011, that the annual bonus remained on the usual 2.7 months of additional pay, the 724 workers in the Amata City industrial park in Rayong province were highly disappointed. They felt unrewarded for their greatly increased productivity. About one third of the employers signed a petition to demand a higher bonus and better working conditions. The Japanese management refused to comply. Instead, it fired 54 petitioners, accusing them of bad behaviour, creating divisions among workers, defaming the company’s reputation or insubordination, or on the grounds of being redundant. Ricoh, by the way, was the first Japanese company to sing up to the UN Global Compact, as early as 2002. This Global Compact comprises ten principles on human rights, labour, the environment and anti-corruption, one of which says: Businesses should uphold the freedom of association and the effective recognition of the right to collective bargaining. The health risks in the electronics industry are manifold. Where toxic chemicals are used, workers complain of skin problems, dizziness or vomiting. Staring through microscopes leads to eyestrain and cataract. Many workers have backache, because they sit almost all the time. 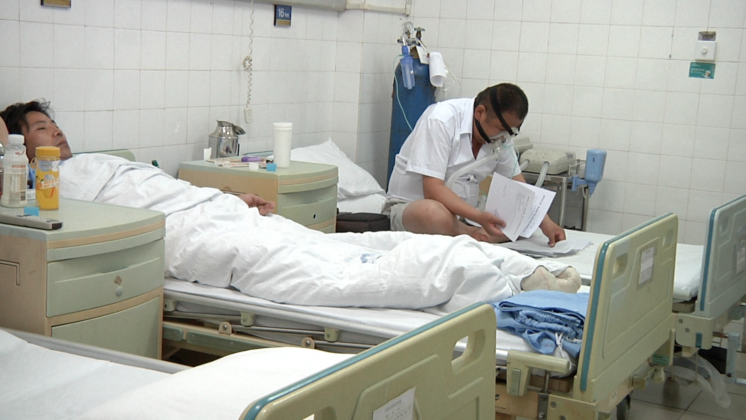 For sick leave workers need a medical certificate, even if only for one day. Not showing a certificate means a cut in the wage or in the overtime leave. Annual health check-ups do not aim to prevent the cause of diseases, and rarely diagnose work-related illnesses. Companies do not provide diagnosis systems or a long-term health policy. Miscarriages, injuries and sickness are often not followed up by investigation, compensation, health rehabilitation or protecting against pollution. With working days of eleven hours (one hour break), six days a week, one worker told the Thai Labour Campaign, “I work so much, that I have no time to tell that I am ill”. Nillawan Kangonta and Chatchai Somboon got fired by their employer Hoya Glass Disk at the end of January 2012, together with some 1,600 colleagues. The reasons: decreasing profits and the flooding. But Chatchai Somboon, secretary of the Trade Union Electronic and Electronical Equipment Relation (TUEEER), suspects other reasons. “My impression is that Hoya wants to escape the coming increase of minimum wages, and that it wants to destroy the trade union.” Her suspicion comes from two facts: the production facility in Lampun, where 1,600 of the 4,200 workers are dismissed, was not flooded at all, and the dismissals concern 800 of the 1,200 trade union members in the plant. 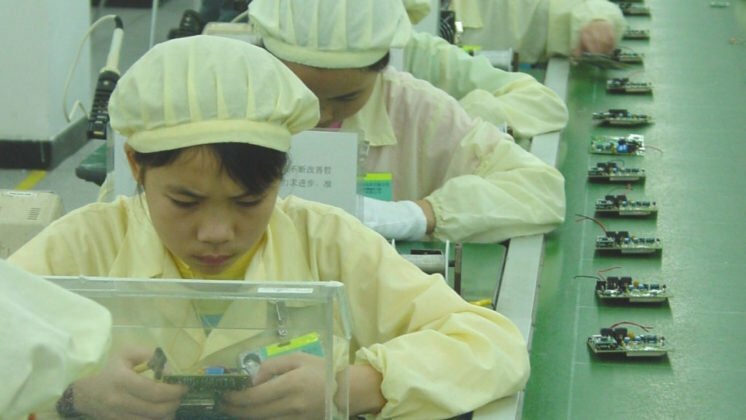 Many electronics companies, brands as well as manufacturers, have developed policies and practices regarding labour rights. Companies sourcing from Thailand often have signed up to the code of conduct of the Electronic Industry Citizenship Coalition (EICC), a coalition of the world’s leading electronics companies to improve efficiency and social, ethical, and environmental responsibility in the global supply chain (see www.eicc.info). Its code of conduct claims to ‘provide guidelines for performance and compliance with critical CSR policies’. Nevertheless, not one brand has publicly acknowledged how the 2011 flooding is affecting the precarious position of Thai electronics workers. MMI Holdings Limited is a Singapore-based precision engineering components company with two production facilities in Thailand. One of them was flooded. Instead of suspending the production, the company dismissed its 220 employees – by text message. The workers, most of whom had returned to their home villages since their dormitories were inundated as well, were ordered to come to the factory at very short notice to sign dismissal letters and collect their severance pay. Many could not make it in time. The factory union, supported by the labour resource NGO Arom Phong Pangan Foundation (APPF), pressed the workers to read their dismissal letter carefully before signing. It turned out that MMI was willing to pay severance, but without including due benefits. Furthermore, the dismissal letter, needed by workers to apply for social security, was not clearly formulated. APPF and the union managed to interest Thai media, which raised the public profile of the case and increased the pressure on the MMI management. To illustrate the plight of flood-affected workers in the electronics industry, Suthila Luenkham, programme officer at APPF, wrote an article on the MMI case, published in the APPF Newsletter and on the website Voice Labour.org. VoiceLabour.org is a platform for workers’ stories with an increasingly important audience. In the article, Luenkham detailed how workers were dismissed by text message without any explanation and without any role for the union, and argued that MMI uses the flood crisis to get rid of the union. The day after publication, MMI wrote a letter to Voicelabour.org, denouncing the article, demanding an apology, and threatening VoiceLabour.org with legal action, resulting in a prompt apology of VoiceLabour.org both on behalf of the organisation and the author of the article, who was, however, not informed. Neither did MMI approach APPF. In 2009, several Thai members of the GoodElectronics Network, including labour unions, labour organisations and individuals, decided to address labour issues in the electronics industry in a more targeted way. They started as an informal network, attuning with the GoodElectonics International network. The main activities consist of research, capacity building of workers, and information sharing. Research focuses on identifying obstacles for organising workers, the use of subcontracting, and the effectiveness of factories’ grievance procedures. The Thai network has also supported urgent appeals regarding labour issues at Hoya Glass Disk, Asahi Glass Disk, Ricoh Thailand and MMI Precision. Eventually, the GoodElectronics Thailand (GET) network will also look into environmental impacts of the electronics industry, including the disposal of industrial waste and obsolete electronics products. FUNDING: This document has been produced with the financial assistance of the European Union. The contents of this document are the sole responsibility of SOMO and can under no circumstances be regarded as reflecting the position of the European Union.